In 100 Words: On one hand, Letter furnishes such an elegant exemplar of gorgeous studio lighting and smooth, elegant style; the caressing pans and tracking shots aren't as sustained or ostentatious as in other Ophüls films, but the tension between swoon and constraint makes perfect narrative sense. 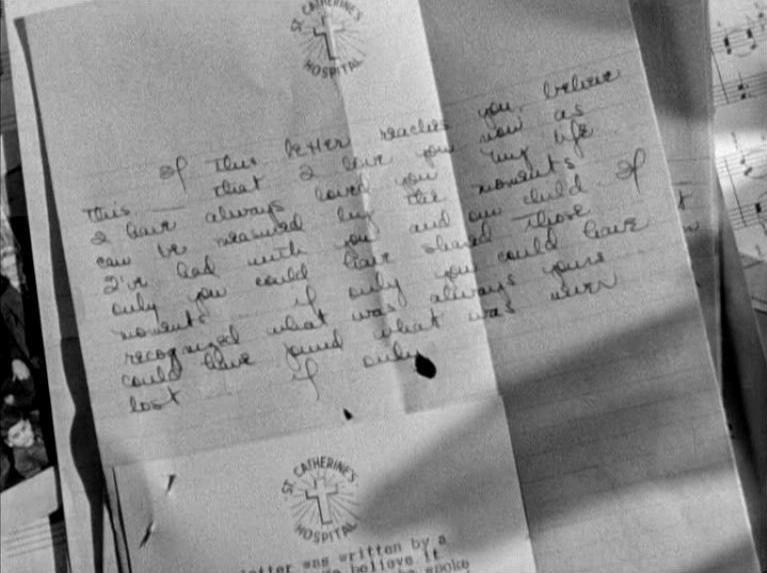 On that note, Letter is a consummate rainy-day weepie, a yarn that distills unrequited love, helplessly bad decision-making, unappeasable guilt, and dangerous but intoxicating romance into limpid, virtually philosophical essences. Formal precision and intense yet intelligent sentimentality are great gifts of the movies, which would diminish in the absence of either. Behold their rare, gleaming marriage. Food for Thought: Letter from an Unknown Woman mobilized some of the most exciting articulations of feminist film theory in the 1980s and 1990s, coaxing disparate but comparably nuanced and accessibly compelling readings from such intellectual heavyweights as Tania Modleski, in "Time and Desire in the Woman's Film," Cinema Journal 23.3 (Spring 1984): 19-30; and, a decade later, Gaylyn Studlar, in "Masochistic Performance and Female Subjectivity in Letter from an Unknown Woman," Cinema Journal 33.3 (Spring 1994): 35-57. Much has been written on Ophüls, melodrama, masochism, and Letter specifically since, but these two essays persist as the touchstones.